Some may recall my visit to Eli Sterling’s workshop last week. 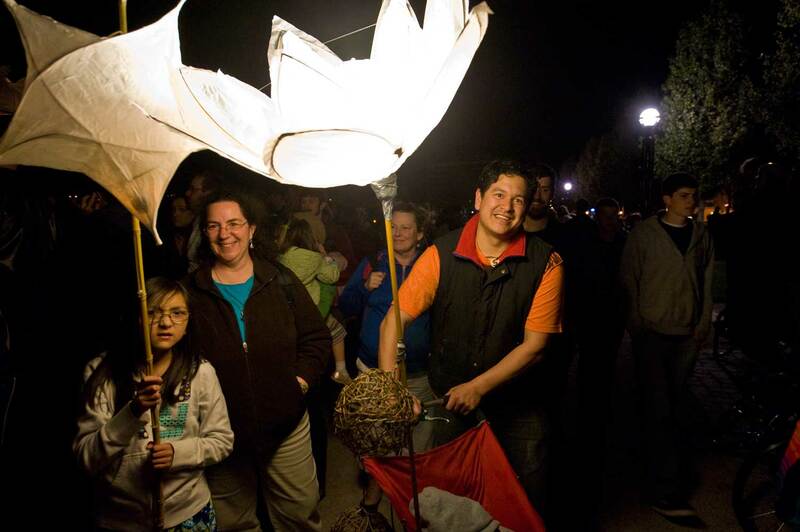 Friday night, I returned to Olympia for the Procession of the Species luminarios, during which the luminous creations of months of collaborative art are hoisted along downtown streets, culminating at the lake below the capital, enchanting young and old. Here are a small sample of pix from that evening. Soon, we’ll have a look at the main event on Saturday.